When I heard this song for the very first time, I couldn't understand half of the things he was singing: the song arrangement was bizarre and the music video was cheap and campy. Yet, somehow I found myself hopelessly drawn to the energy and spirit of the band. 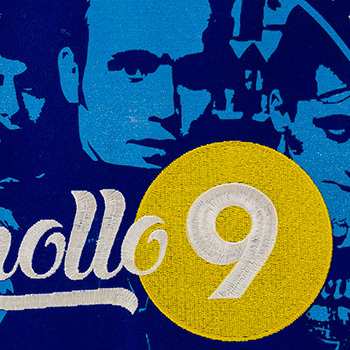 To me, "Apollo 9" was a crazy experiment that opened up new and undiscovered territories not just for the band, but for the listeners as well. 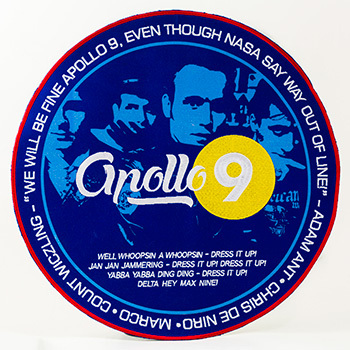 So to match the larger-than-life personality of the band, I created a larger-than-life embroidery patch commonly found on an astronaut's suit. With this, I hope young musicians will be brave and break through their own musical boundaries. 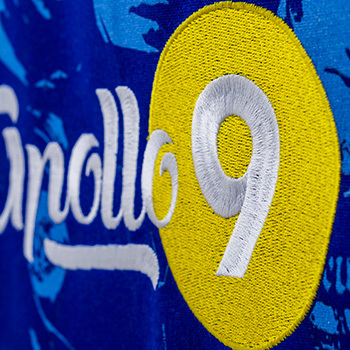 I had a lot of fun revisiting "Apollo 9" on YouTube while researching for this project — it still resonates with me even after 30 years. But I still don't understand half of the things he is singing! Art. Design. Music. Film. Life.